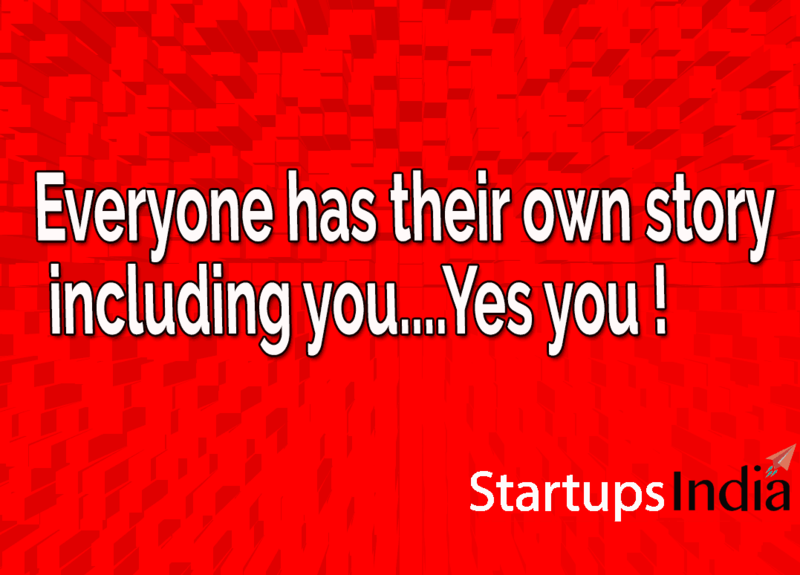 Everyone has their own story including you yes including you and me and everyone. When we read great entrepreneur stories or personal success stories we felt like, Yeah those people have a great story and great situations in life that’s why they are successful and if successful people share their story and give suggestions to us we felt like that you have great story but we don’t have those situations so you can easily say anything whatever you want. Not everyone but few of people definitely thinks like this. But we have to know the truth is they have a story after their success and they are successful not because they have a great story or great situation they made every situation great. For example if we take Steve jobs he has a great story of starting his company apple in a single room and if we take Jeff Bezos he has story of started his company in garage and Mark Zuckerburg has story of started his company in hostel like These legendaries everyone has their own story if you start doing something definitely you must have the story to share. In our life, if we start something and we had a success we would have a success story and if work for something and we failed in that means we would have some failure story but to be honest I’m sure you also have a great story. About why you’ve decided to start your business, or about who you are and what you believe in. The simple fact that you are a unique person is part of what makes your story unique. Look, if Steve Jobs had failed in building apple and started working on another product that would have been a story. And if Jeff Bezos doesn’t start Amazon and started something that would have been the best story of all. Whoever you are, there is some story you can tell, something you can say that makes your special. The simple thing is never to focus on the story just focus on what you want to do then the story follows you. Hyderabad based startup E-trio launching electric vehicles in India to save environment.